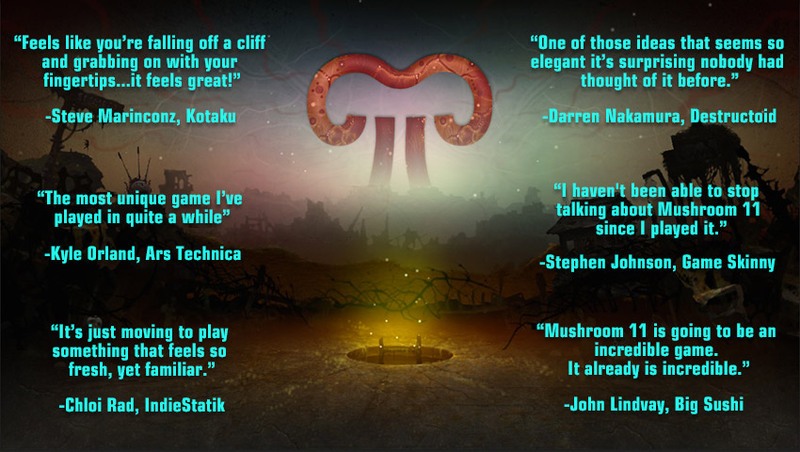 Mushroom 11 is an award winning upcoming puzzle platformer with a unique control mechanic. Guide an amorphous organism across brain-twisting obstacles, overcome swarms of bizarre mutated creatures, and understand the true nature of the devastation from which you emerged. Music by the Future Sound of London. Find out more by following us.